We at Orwer IT & Media Services will help your business to reach its potential by web development. With help of website development we will simply and speedup your process of enhancing your internet presence, which will help to increase and get a huge market exposure. We with help of development help you to reach your capabilities to deepen customer impression from the company. It also helps you to increase the communication with your customers. 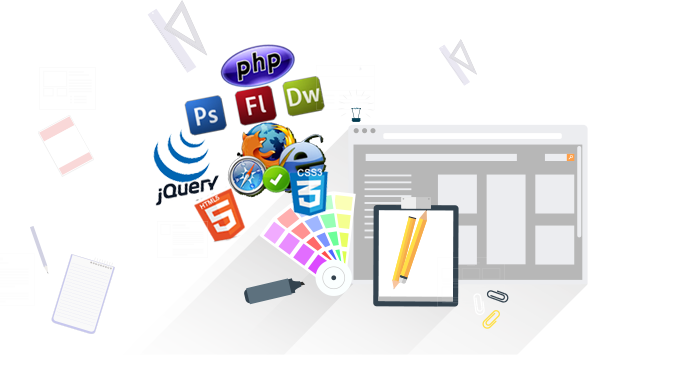 We understand your business strategy and objectives, so that our creative team can craft web design with their skills. After Design approval our technical team makes its presence on web by developing it using the latest technologies. Testing process of the flow and compatibility of browsers are processed to ensure its smooth flow and looks. PHP and its framework such as Magento, Open cart, Virtue mart, WordPress, joomla etc. Web Development is the face of your business, it is a reflection of your business. We develop good quality design and flow that attracts the customer. We work for small to big companies from personal to corporate websites. We provide you the quality work in all above solutions and our team is in interaction with you from the beginning to end to provide you the best and you can gain the best ROI from it.